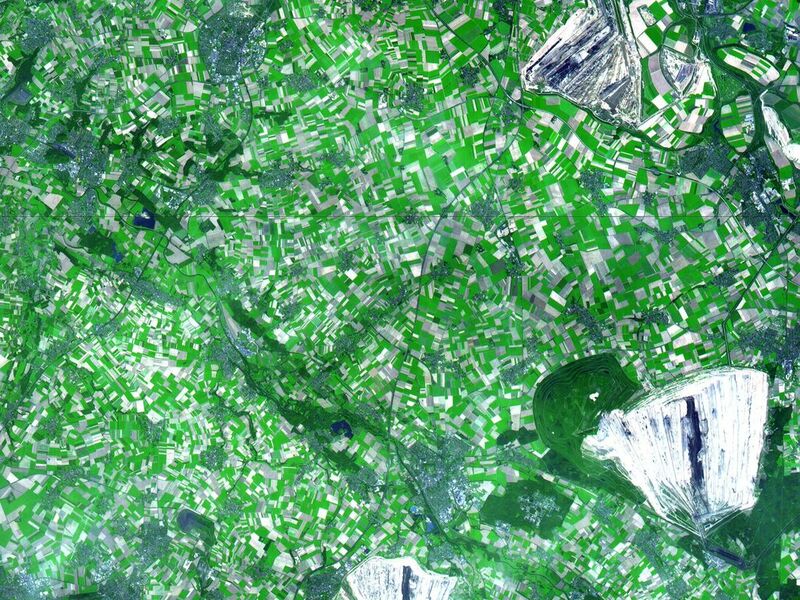 This simulated natural color ASTER image in the German state of North Rhine Westphalia covers an area of 30 by 36 km, and was acquired on August 26, 2000. 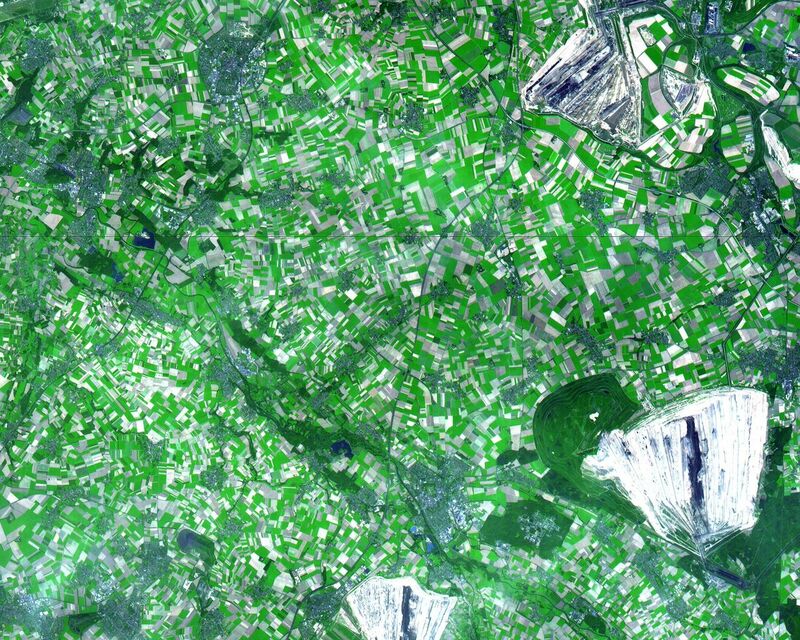 On the right side of the image are 3 enormous opencast coalmines. 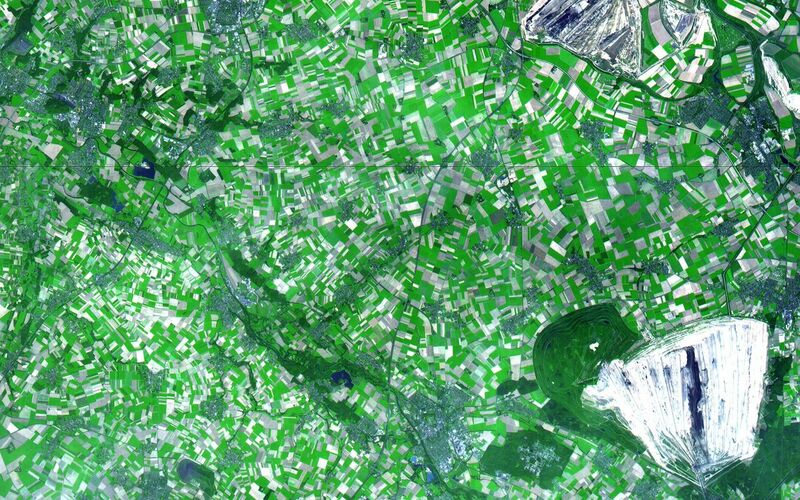 The Hambach opencast coal mine has recently been brought to full output capacity through the addition of the No. 293 giant bucket wheel excavator. This is the largest machine in the world; it is twice as long as a soccer field and as tall as a building with 30 floors. 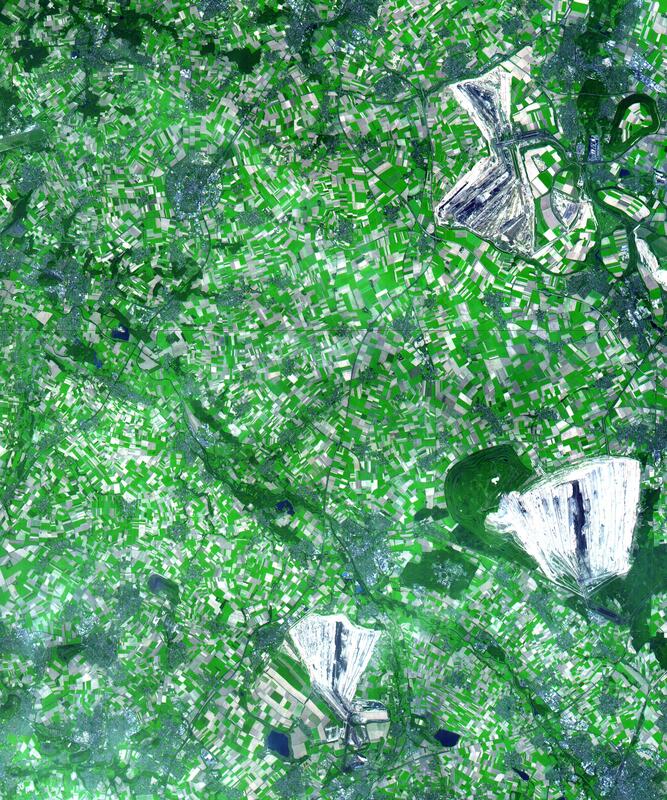 To uncover the 2.4 billion tons of brown coal (lignite) found at Hambach, five years were required to remove a 200-m-thick layer of waste sand and to redeposit it off site. The mine currently yields 30 million tons of lignite annually, with annual capacity scheduled to increase to 40 million tons in coming years. The image is centered at 51 degrees north latitude, 6.4 degrees east longitude.